Maintaining and repairing Pleasanton garage doors is what the technicians here at Precision Garage Door Bay Area do best. From repair to maintenance and even garage door installation, our team of professional garage door experts has you covered. Give us a call at (866) 949 3722 to schedule service for your Pleasanton garage door problems. Or, if you prefer, you can always stop by and visit our experts at 35 Quail Court, Suite 301 San Ramon, CA 94596. If you are facing any of the aforementioned garage door problems, then please call our professionals for garage door repair in Pleasanton right away. Sometimes maintenance isn’t enough to keep your garage door running smoothly. When maintenance just doesn’t cut it, you can trust our experts for garage door opener repair and door track repair services. Our techs are experts when it comes to making sure your garage door opener and tracks work to the peak of their abilities. "Excellent response and service.Tech was polite, friendly and professional.I would use Precision again." "Another great experience with Precision Garage Door! They were responsive to my scheduling needs, communicated about the pending appointment as promised and Blake was great! He was considerate, informative about the needs of our garage door, and thorough in getting the work done . . . including cleaning up the minor mess in the area! Strongly recommend using this company!" "5 star rating Excellent service . James Walker was extremely personable and knowledgeable . Fixed the garage door in a timely manner ." Leena, Thank you for trusting us at Precision Garage Door to come to your home. As a local family we know what it is like to invite a stranger to come to your home and help you. Glad we gave you 5 star service! "The technician was on time and everything went great in the repair of my garage door. 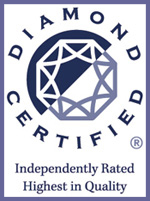 I'm definitely going to recommend Precision Door Service to my family and friends." "The springs on our garage door broke! We found Precision Door Services in our local yellow pages. Glad we did because their tech was excellent! Paulino arrived on time and was working fast! You could tell he know what he was doing! It was a breath of fresh air to see a technician with such knowledge! We would Highly recommend Precision Door Services to our friends and family!! Thanks again!" "Our garage door opener started making noises. It sounded like it was struggling to open the garage. We found Precision Door Services while doing research and decided to call them. Our technician, Paulino, was great and arrived on time. He explained to us what was needed to be done. Glad we found Precision Door Services." "When my garage broke I called Precision. The phone staff was so polite, so I booked an appointment. Brandon was even nicer and did a fine job. Great customer service." 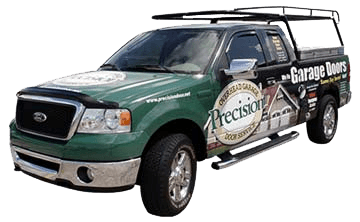 "So was having troubles with my garage door and found Precision who was local and could come out the same day. Mike the technician was on time, courteous and did an excellent job explaining our options. Will recommend Precision Garage Door to friends. Thank you." "did a great job on spring repair and was timely. Thanks." "Good job nice and quick." "Matt was very courteous and had excellent workmanship." "Knows his garage doors very well. Was fair and explained the pricing." "Paulino was awesome! 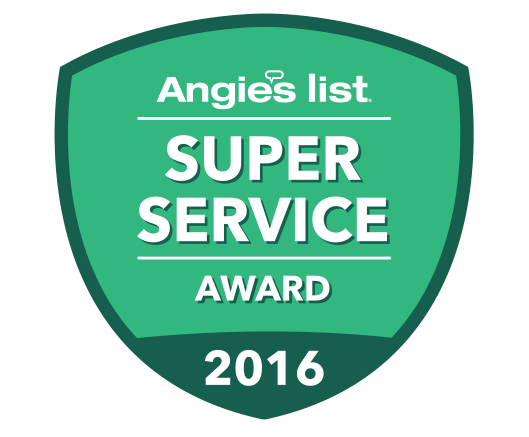 Fast, knowlegable and great service on my garage door and opener." "Service was good. We are very satisfied. Excellent quality work on my garage door." 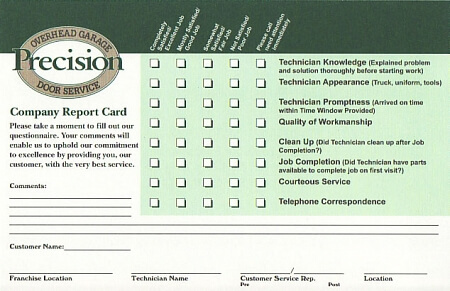 "My entire experience with Precision Garage Door has been excellent!. He was on time, efficient and polite. Thank you!!"